I was reading Hamlet recently. You know the story – he comes home from studying at university on the occasion of his father’s funeral, only to find that his mother has already gotten remarried to Claudius, the brother of Hamlet’s father. And as if that isn’t bad enough, the ghost of Hamlet’s father appears and tells Hamlet and two of his friends, that Claudius murdered him! Hamlet is such a huge personality that he’s living out events from multiple simultaneous points of view. Hamlet has this going on big-time. Even while he’s full of passion, he’s looking at things from a calm, remote, “outside himself” point of view. Here’s an example. Hamlet has to make sure it really was the ghost of his father, and not the devil sent to mislead him. So Hamlet writes a short play and gets some visiting actors to perform it. The play written by Hamlet duplicates the events of his father’s murder – right down to the detail of the poison being poured into his father’s ear, a detail that the murderer thinks no one else knows about. The plan is that, if the play is really portraying what happened, then the murderer, Claudius, should freak out and Hamlet will notice. Sure enough, shortly after the poison is shown being poured into the ear of the victim, King Claudius leaps to his feet. Some of those words are unfamiliar to us, so I’ll quote the notes from the awesome Barnes & Nobel Shakespeare edition of Hamlet. (If you want to read Shakespeare, get these editions. They’re fantastic.) “It was believed that deer wept when wounded.” A “hart ungalled” is an “uninjured male deer.” “Some must watch” means some people have to stay awake. Hamlet’s saying there are winners and losers, and that’s the way it goes. 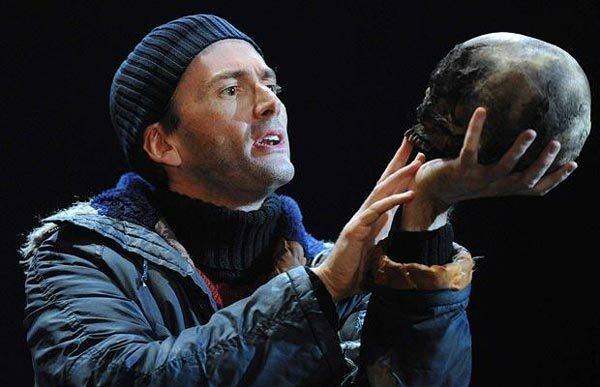 Hamlet is full of rage; he’s cracking jokes; he’s putting everybody on, pretending to be crazy; and perhaps he is just about to go truly crazy over what’s happening in his life. His mother married his father’s murderer! Hamlet is such a huge personality that he’s living out events from multiple points of view, all at the same time.